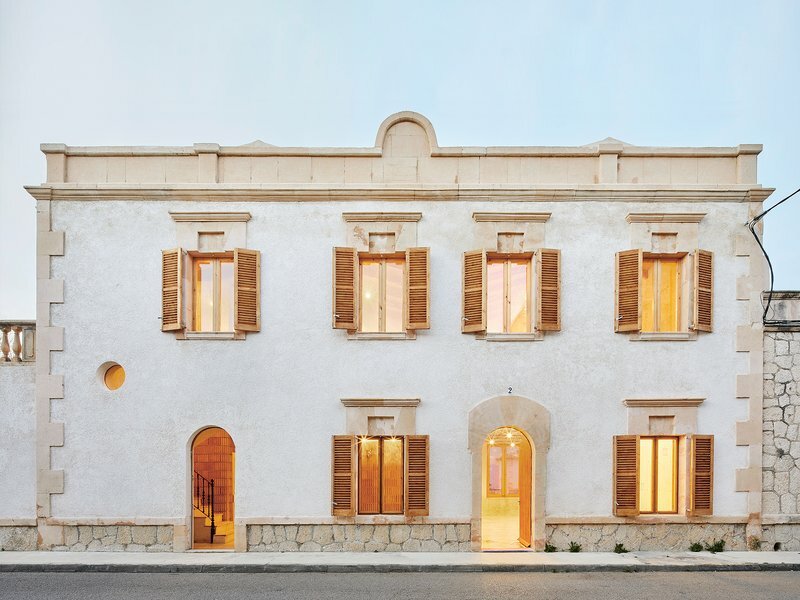 The project consisted of renovating an annex of the old oenological station of Felanitx (built in 1910 and abandoned in 1940) to house the headquarters of the appellation of origin «Pla i Llevant», thus recovering the use for which the building was originally intended. 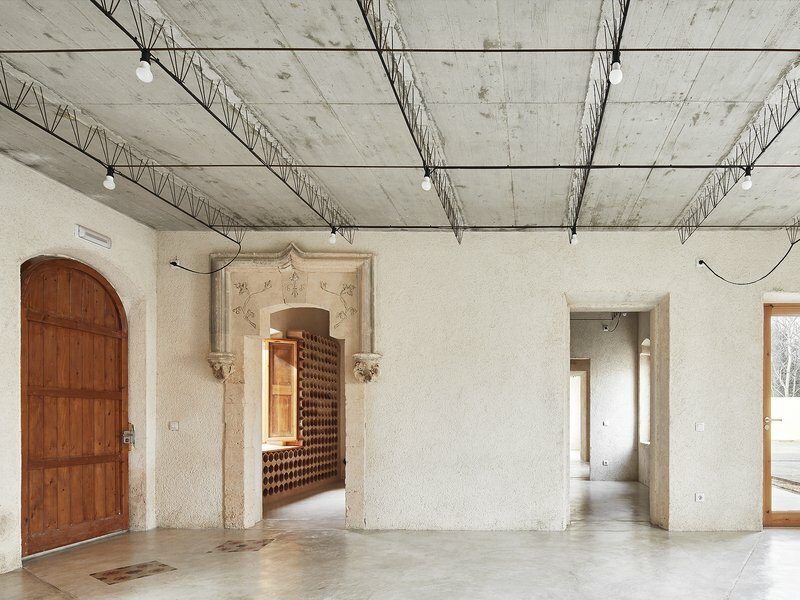 The walls, floors and carpentry of the abandoned building became the material elements and starting point for the reconfiguration of the interior spaces. 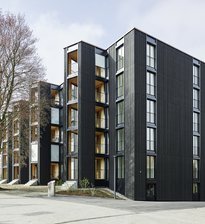 The first step was to restore the existing building fabric that was still in good condition and bring it out to best effect with the materials that were newly incorporated. The new concrete slabs are supported directly on the masonry walls, which have been coated with lime mortar, thus achieving continuity throughout the interior. The old windows and the hydraulic tiles were likewise recovered as one more layer of the building’s history. 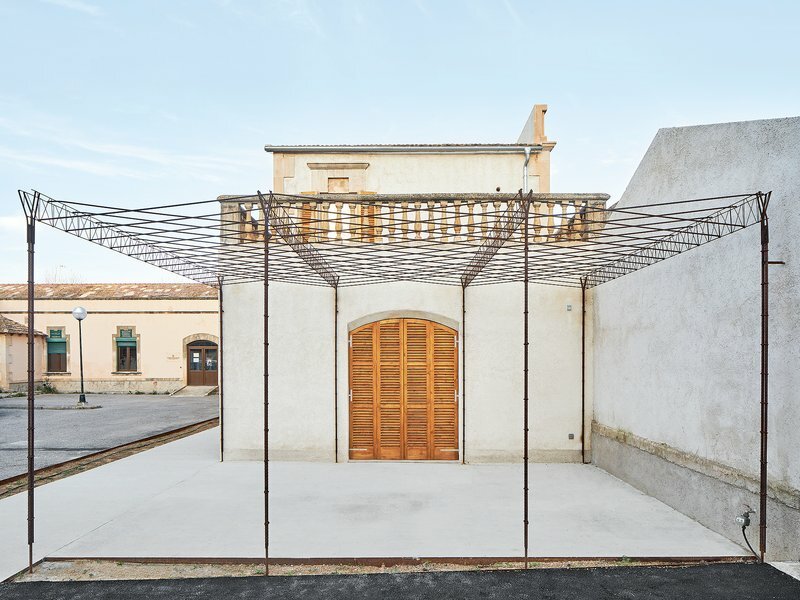 In order to highlight the restored function of the annex as a centre for wine, it was decided to extend the scope of the project to the exterior spaces; a car park was thus replaced with a row of vines to create a small vineyard that can be seen from inside, and an old warehouse was also restored, as was the entrance patio, which is protected by a pergola built with the same materials as the structures supporting the vines. The pergola continues inside the building, where lights hang from it. 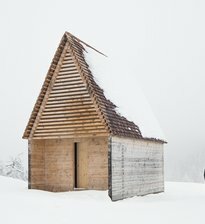 The first floor has a timber-beam ceiling incorporating panels with natural cork insulation. 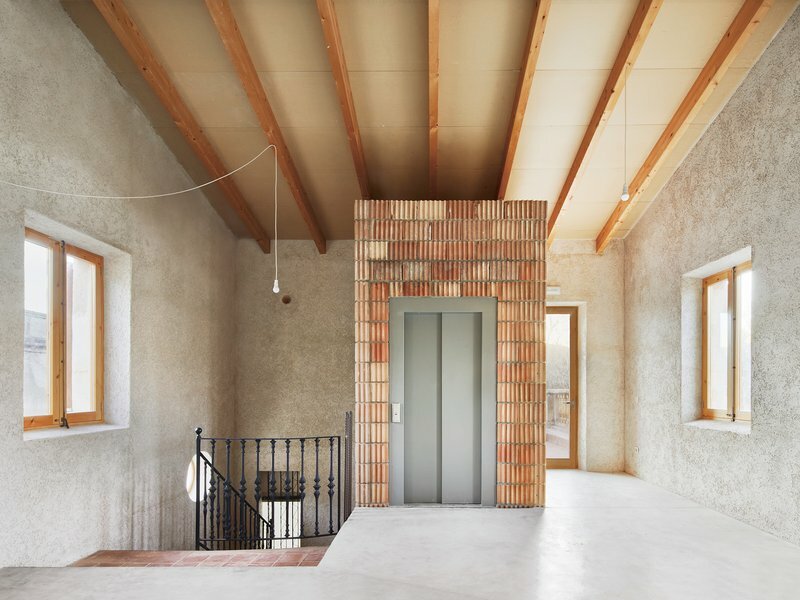 In addition, bricks were used to build interior walls articulating the spaces.